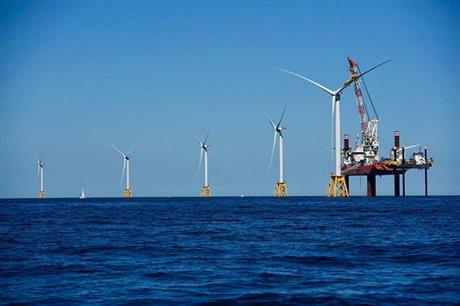 UNITED STATES: The US offshore wind industry will be centred around two or three ports on the east coast, predicted Paul Vigeant, managing director of the New Bedford Wind Energy Centre. New Bedford, home to the country’s largest fishing port, has a depressed economy, but is emerging as one of the hubs of New England’s nascent offshore wind sector, he said. The port’s 110m2 terminal was completed in 2015, while the state of Massachusetts demands public utilities buy 1.6GW of offshore wind by 2027. Another hub will emerge on the mid-Atlantic coast, Vigeant said on the sidelines of AWEA’s Windpower 2018 conference. He said Sparrows Point in Maryland is a leading contender, although it does not have direct access to the open sea. A third hub may or may not emerge in New York or New Jersey, Vigeant added, but conceded more expensive property may prohibit this. Projects off New York and New Jersey could also be served from a New England hub, he said. Vigeant cited a study that projected 60% of the jobs created in offshore wind in Massachusetts will be in operations and maintenance (O&M) and will be well-paid 25-year jobs. The remainder would be in construction, according to the report commissioned by the Clean Energy States Alliance. He warned that Europeans aiming to participate in the US offshore sector do not understand the extra layer of government and policy in the US at state and federal levels. "They don't have a clue about states' rights," he said. Paul Rich, development director at US Wind, noted how much the cost of energy has dropped since an offshore project – the ill-fated 250MW Cape Wind site – was first proposed in the country. Cape Wind would have received £280/MWh. Deepwater Wind's Block Island is getting $240/MWh. And in Maryland, Deepwater Wind and US Wind have been approved by state regulators to sell wind for $130/MWh, Rich said. The American Wind Energy Association (AWEA) will hold its Windpower 2018 conference and exhibition in Chicago (7-10 May). Windpower Monthly will bring all of the coverage from the show across the week.